Although the ski season has gotten off to a slow start it is inevitable that the snow packed mountains will soon be occupied by delighted winter enthusiasts. 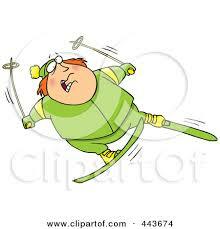 Both the avid and novice skiers alike are susceptible to a variety of injuries. One common injury associated with a fall on an outstretched hand is an injury to a ligament on the inside of the thumb called the ulnar collateral ligament. 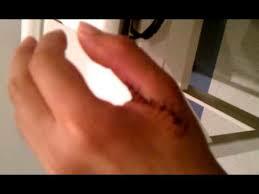 If the injury occurs while a ski pole strapped to your hand it is referred to as skier’s thumb. Ligaments are important structures which connect two bones together and provide stability to a joint. If these symptoms do not resolve quickly it is important to see a hand surgeon to determine the most appropriate treatment plan and prevent worsening of symptoms. At your first appointment the hand surgeon may take an x-ray to determine if the ligament is partially or completely torn and if there is a fracture. recommended. Your thumb will be immobilized full time for approximately 4 weeks followed by an additional 2 weeks of intermittent wear for activities that are stressful to the thumb. Complete healing of the ligament take approximately 3 months. frame is approximately 6 weeks but varies according to healing. This may be followed by an additional 2 weeks in a removable splint. 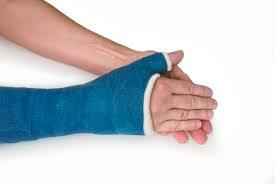 Following the period of immobilization you may be referred to hand therapy. Under the direction of a therapist active thumb motion, scar and swelling management will be initiated. Careful consideration must be taken to avoid any activity or exercise that places force on the healing ligament. Therapy will be progressed according to healing in an effort to maximize functional hand use. The final outcome for both surgical and non-surgical treatment are very good. However, it is important that the immobilization time frame, exercise program and the avoidance of activities that prematurely stress the ligament be strictly followed. Enjoy the slopes and ski safely!